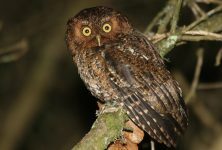 This tour is about a walk through the forest to observe owls such as Bare-shanked screech-owl, Mottled owl, Unspotted saw-whet owl and also the Dusky Nightjar is the only endemic Nightjar of Costa Rica. We encourage you to bring binoculars, camera, or a mobile phone to take pictures. 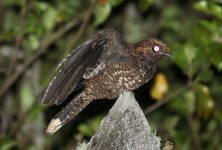 Complete the following form to give you more information about our Night-Time tour.